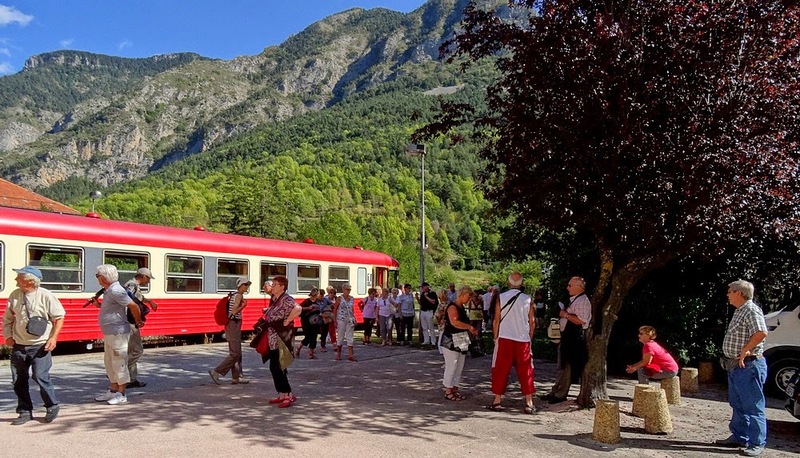 The third version of Train des Merveilles - Retro (Train of Marvels) by ATTCV was arranged yesterday, Saturday, September 27, 2014, under a brilliant sun with warm temperatures (even at high altitudes). 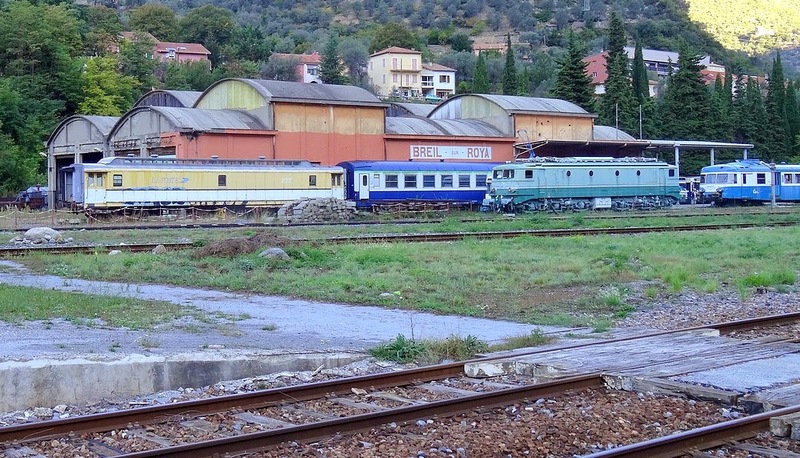 As before, the Caravelle railcar X-4567 was used. 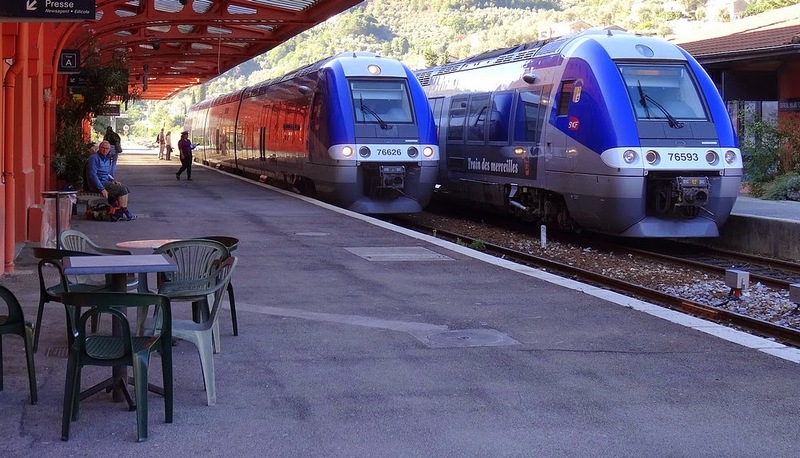 This time it started in the very early morning from its temporary base at St. Charles station in Marseille. 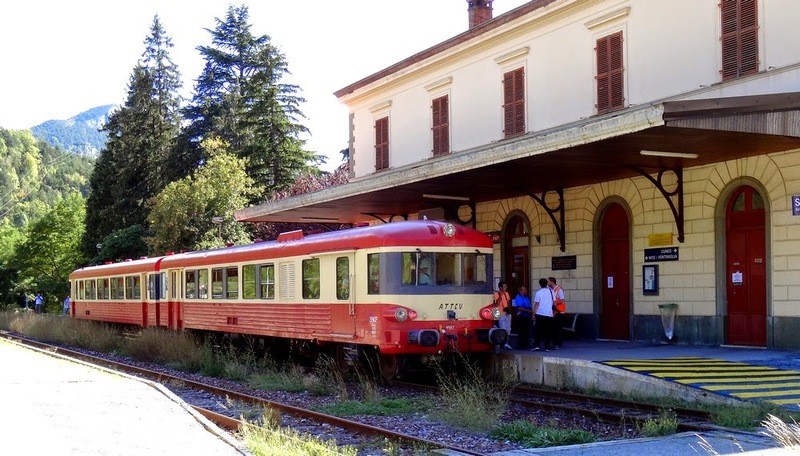 Passengers, mainly from the Toulon area, took the opportunity for a full train day trip to the southern Alps in a heritage railcar. 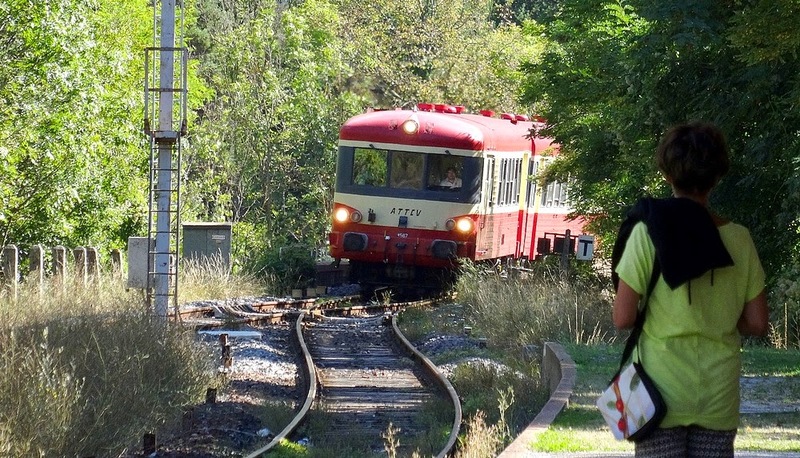 Telling from the age of many of them, they had probably previously traveled on a railcar of this type. 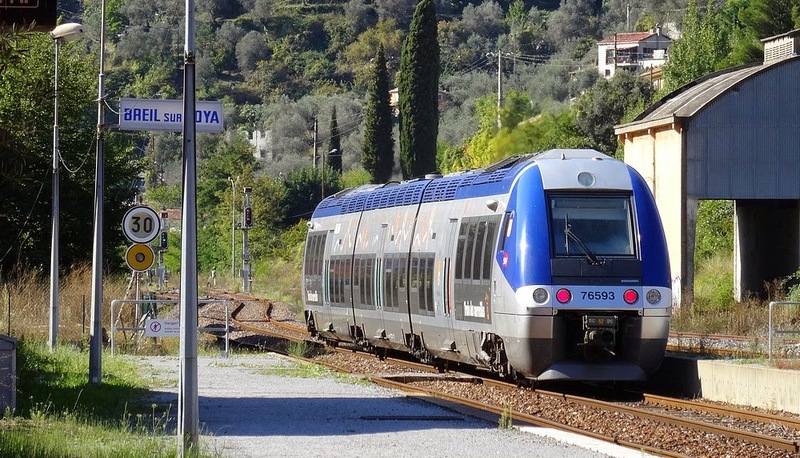 From Marseille to Nice, the ATTCV time schedule had to fit in between the schedules of regular trains, which resulted in some delay in the "flatland" portion of the department of Var. 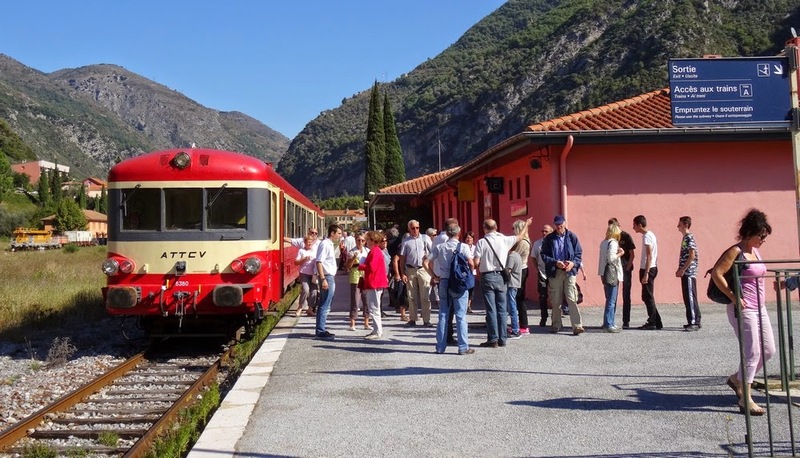 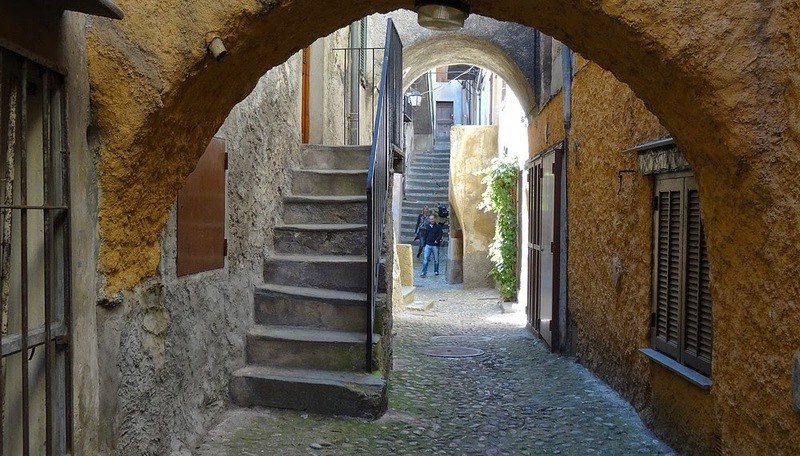 But, that was easily forgotten by the passengers when they after Nice had the opportunity to listen to the guide presenting the marvelous area north of Nice and the history of the railway line from Nice to Tende (and further to Cuneo in Italy). 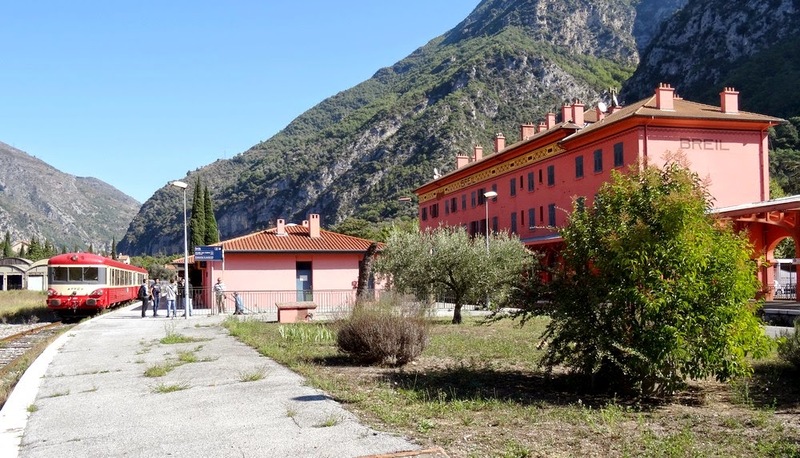 The railway station is located at an altitude of 306 meter. 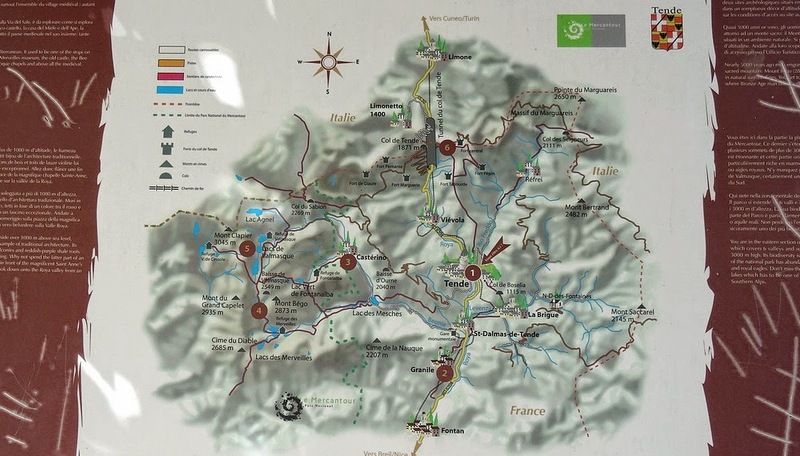 The voyage continued, and included the passage of several bridges and tunnels (including two helical (360 degr) tunnels) and an altitude gain of more than 500 meter, to reach 823 meter. 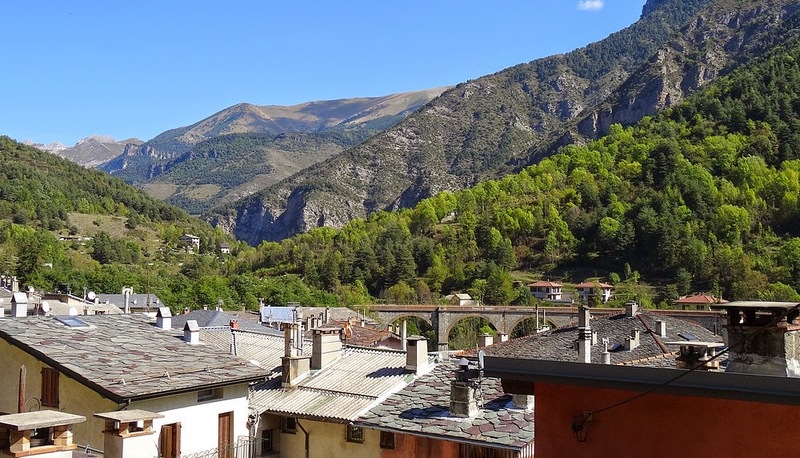 The two hours' stop gave the passengers the possibility to visit this interesting town, with its impressive mountain view. 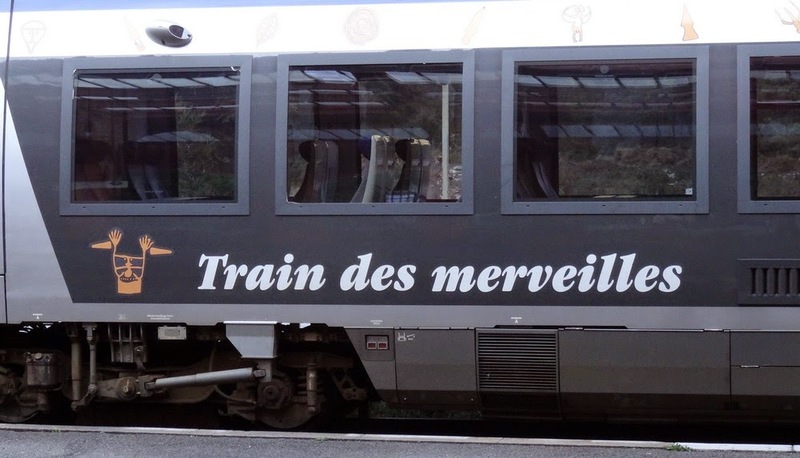 From Nice to Breil-sur-Roya all trains are French. 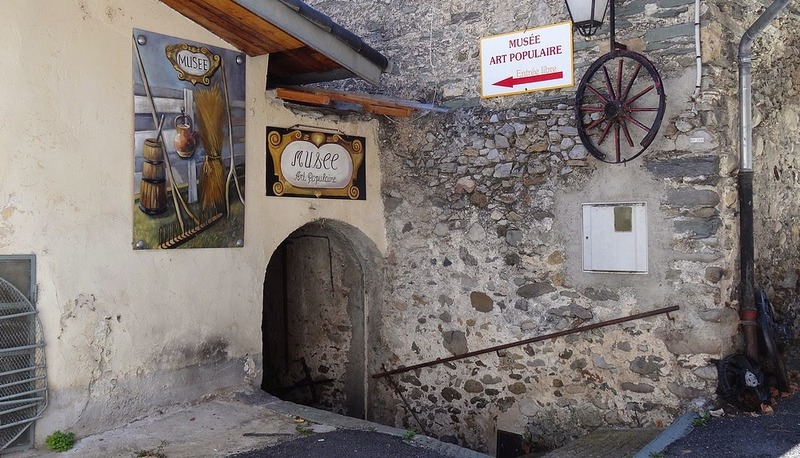 From Breil to Tende there is a mixture. 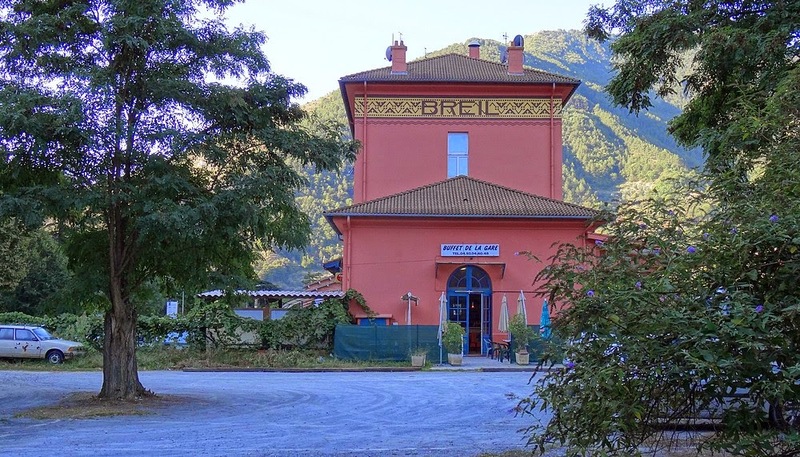 Italian trains from Ventimiglia to Cuneo pass through French territory from the Italian border south of Breil to that north of Tende. 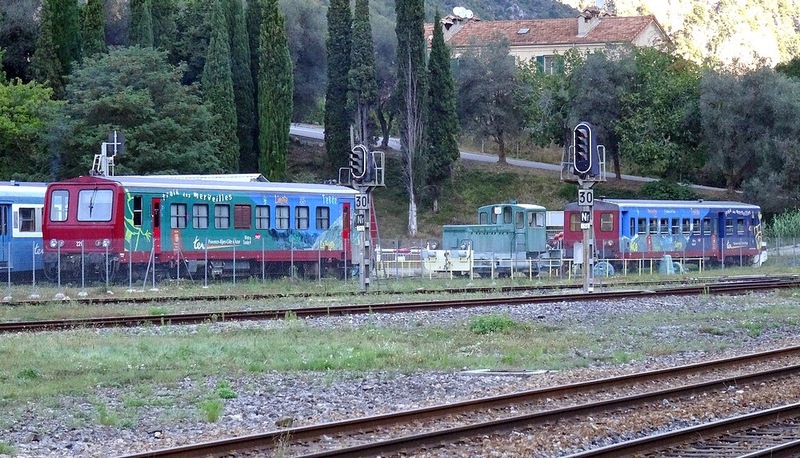 The tracks are therefore "shared" between Breil and Tende. 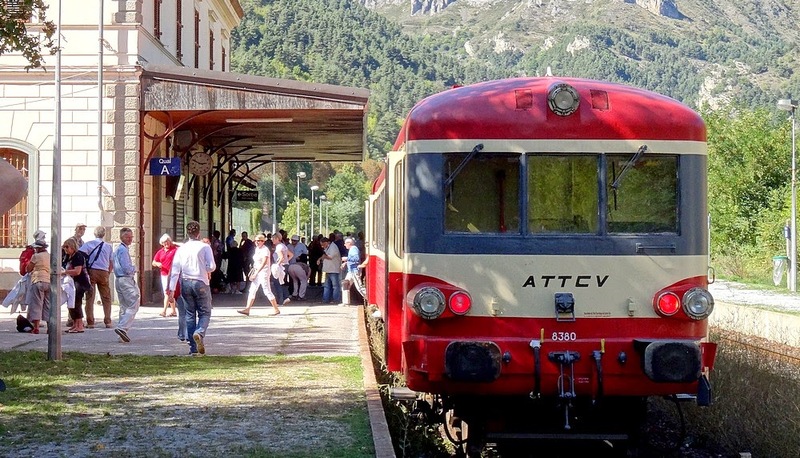 The trains between Nice and Tende have for a long period been called Train des Merveilles, with their railcars painted that with text, and using symbols from the remains of stone age living found in this Alpine area. 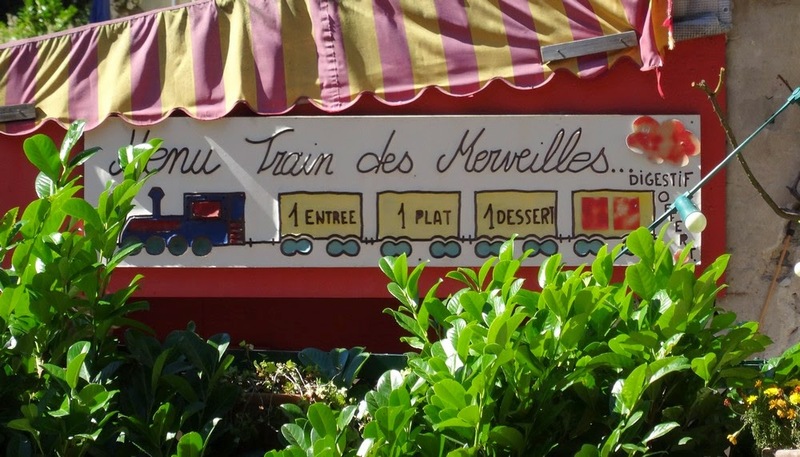 Not only the older, now retired, railcars wore these inscriptions. 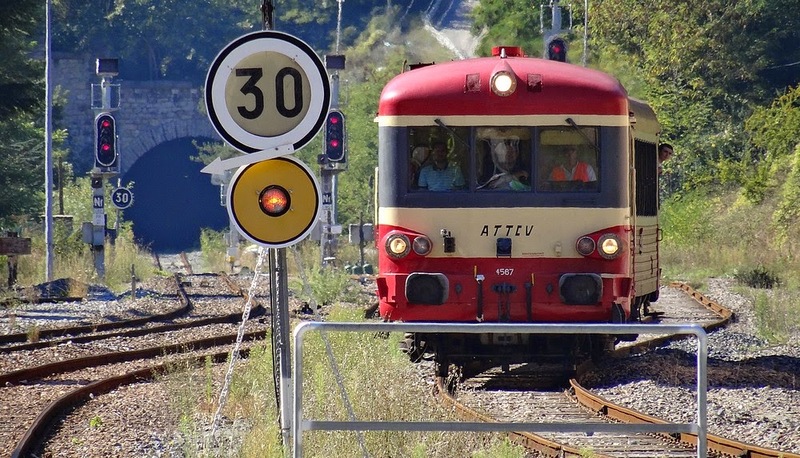 Also the new, modern railcars carry the name and the symbols. 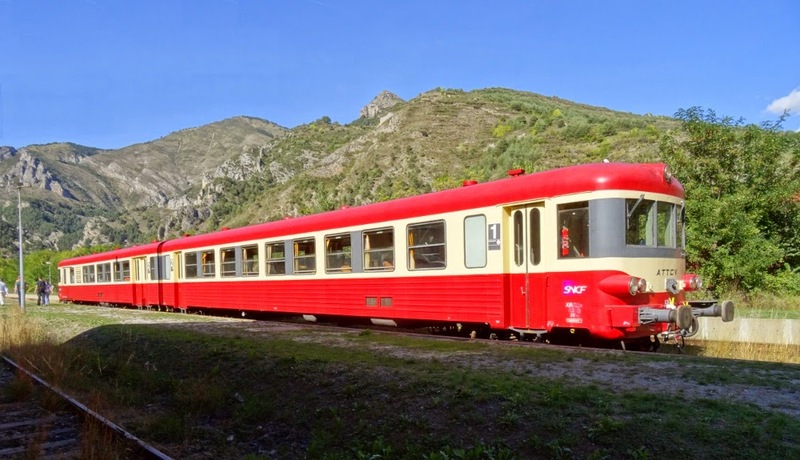 ATTCV has since a couple of years one of these retired Train des Merveilles railcars, X-2204. 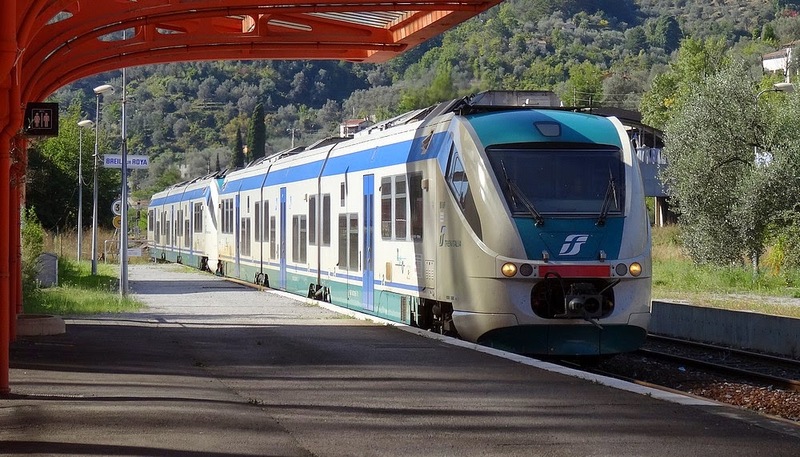 It is regularly used in operation of the tourist train between Carnoules and Brignoles. 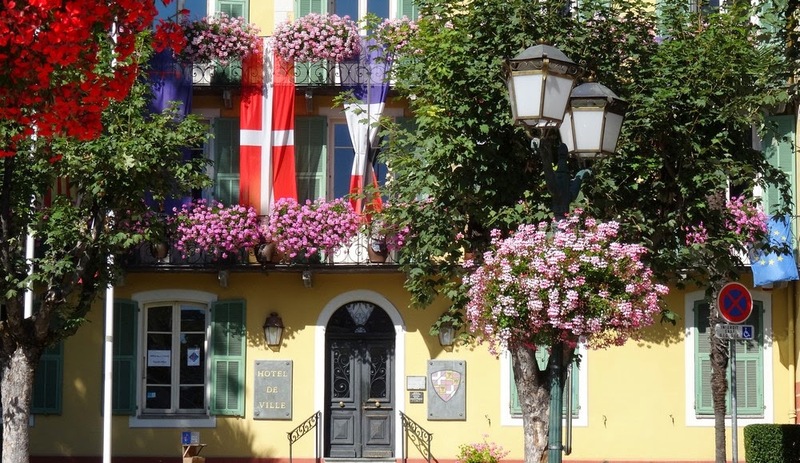 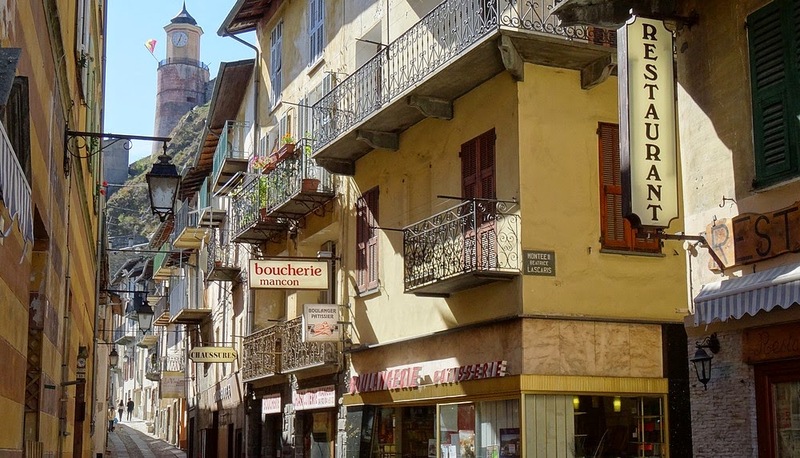 It has been baptized "Ville de Brignoles".